This is the second of a series of nonfiction science articles I am currently writing. 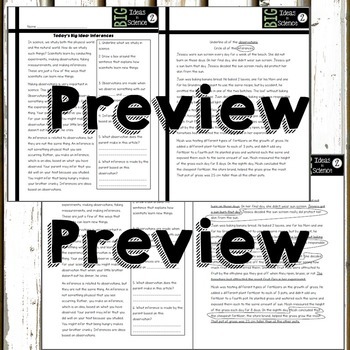 This resource was designed for use in an upper elementary classroom, mainly grades 4-6. The new science standards, as well as language arts common core, require a large amount of science nonfiction reading. Meet the standards with an article your students can understand. Questions and answer key provided. This is a print and go lesson. Great to use with a sub! This is article 2: Inferences. 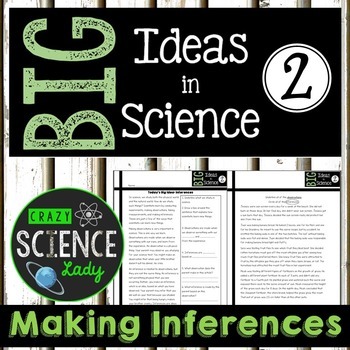 This article looks at the difference between an observation and an inference. Questions, practice, and all answers included. Follow me for updates when I post the rest! Once completed, a bundle will be compiled.